Eclipse Air Charter is an on-demand private aircraft charter company that was looking to get the word out about their presence in the Canadian market. Li et Co worked with the founding partner to craft a message worth sharing, and then distribute it via press release to thousands of select media across Canada thus generating editorial coverage and improved SEO. 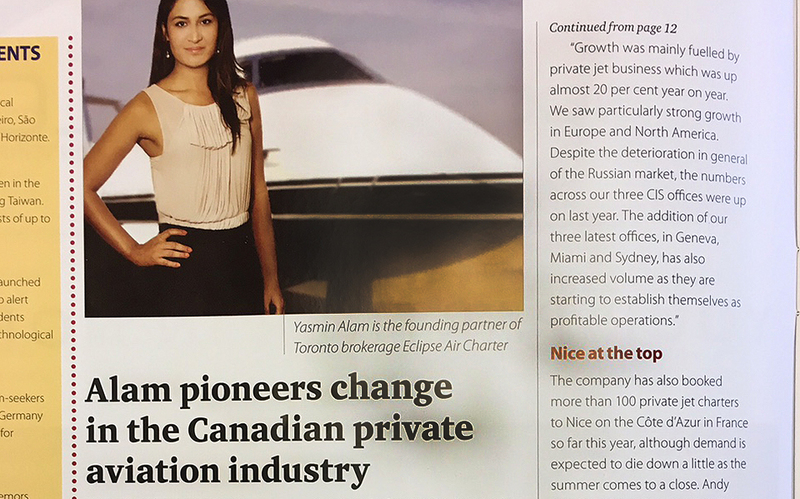 The carefully crafted messaging landed Eclipse Air Charter in a variety of industry and consumer publications both in print and digital.